Did you miss out on this year's Death Salon in Boston? 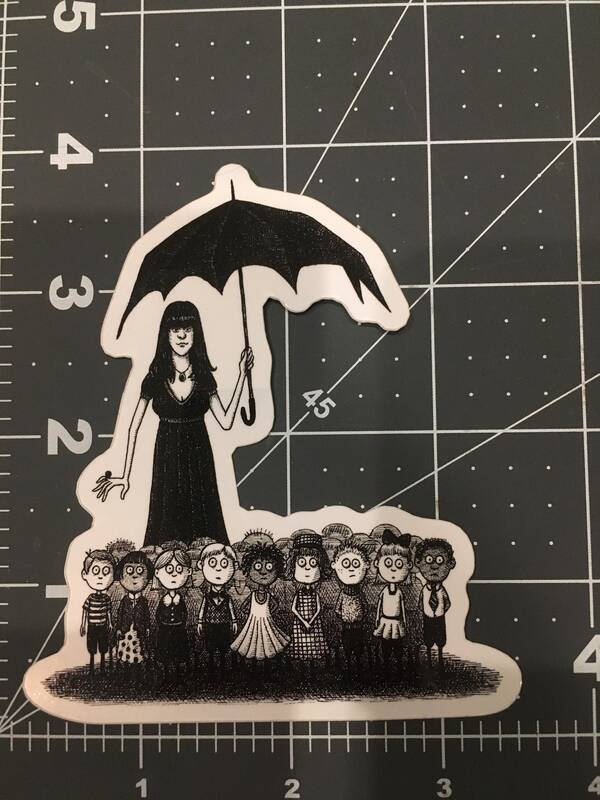 Well don't fret, Landis took his amazing Caitlin as The Gashlycrumb Tinies illustration he created for it and made it into a sticker for you! Sticker is approx 4" Tall by 3.5" wide and has a glossy finish. Artwork was designed by Landis Blair, the illustrator from Caitlin's second book "From Here to Eternity". His art is also featured on our Corpse Meditation shirt! Follow Landis' work @landisblair on Instagram. Pretty much everything I could ask for in a sticker. 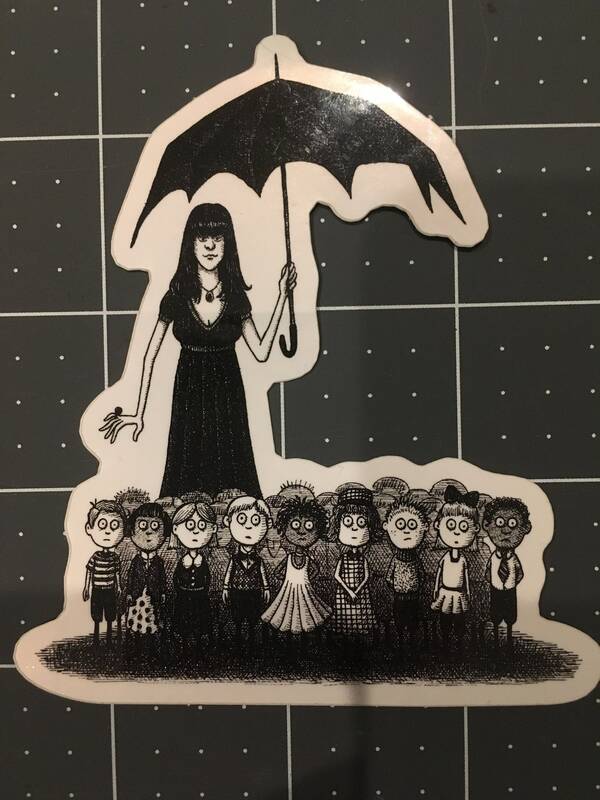 It stays put, due to an (almost) unfortunate accident, I learned it is waterproof, and it features the Queen of the Deathlings. What's not to love? 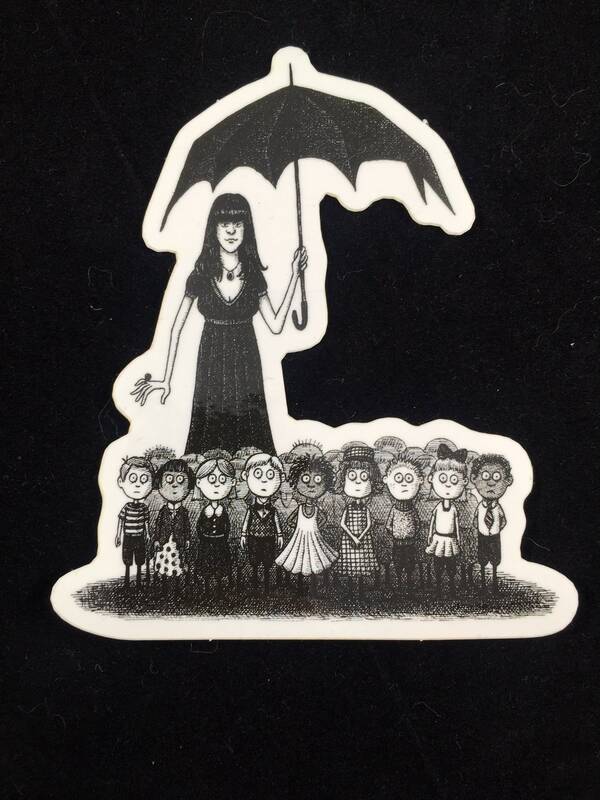 This is the perfect addition to my Gashleycrumb Tinies collection! Wonderful artwork and quality sticker.